Porsche may become VW's 10th brand as a result of Thursday's discussions. Key Volkswagen executive Matthias Mueller is expected to become the new CEO of Porsche AG. 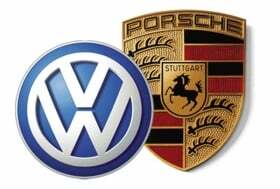 By appointing Mueller to the top job at Porsche, VW could quickly integrate the sports car maker into its operations. Mueller currently heads a VW division called K-GM Products and reports directly to VW group CEO Martin Winterkorn. An internal VW overview of the business mission of the K-GM department shows that Mueller's current duties predestine him for the role of heading Porsche within the VW group. According to the document, K-GM directed VW's product analysis and product strategy process. Mueller's staff is responsible for the definition of guide rails and interface in the model lineup of the group's brands, including the initiation and management of cooperative ventures. Mueller is likely to become Porsche CEO when the sports car maker's current head, Michael Macht, is appointed head of production for the VW group as the successor to Jochem Heizmann. Heizmann is being discussed as the head of VW's commercial vehicle business.